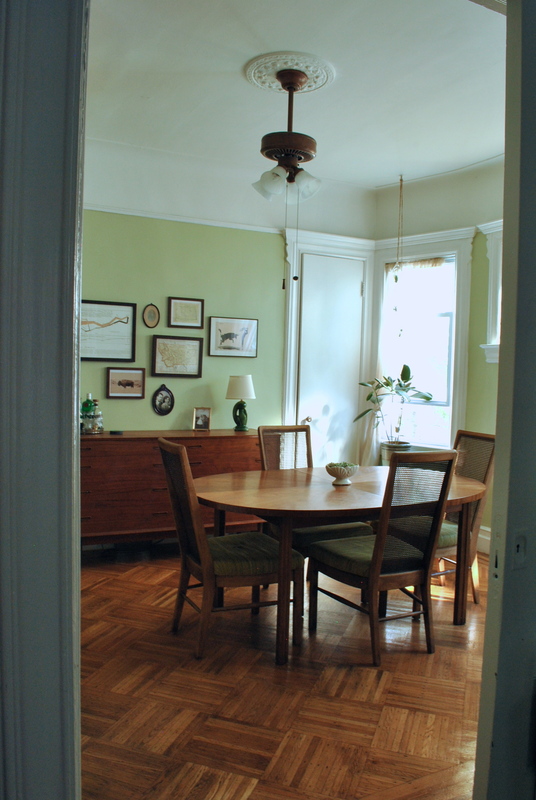 When we moved into our apartment, the dining room had just been painted light green. 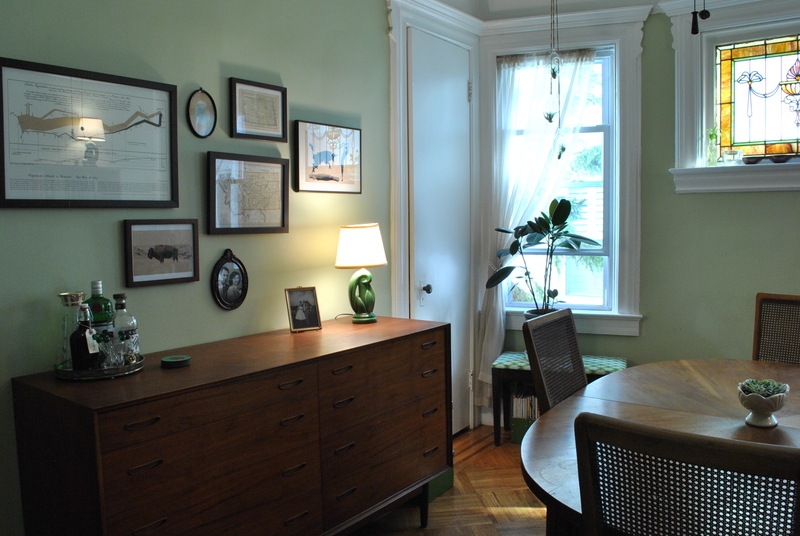 A few months later, I recovered the dining room chairs with green fabric. I didn’t go looking for green, it was just serendipity. But it sparked a trend. I moved a green chair into the corner of the room. 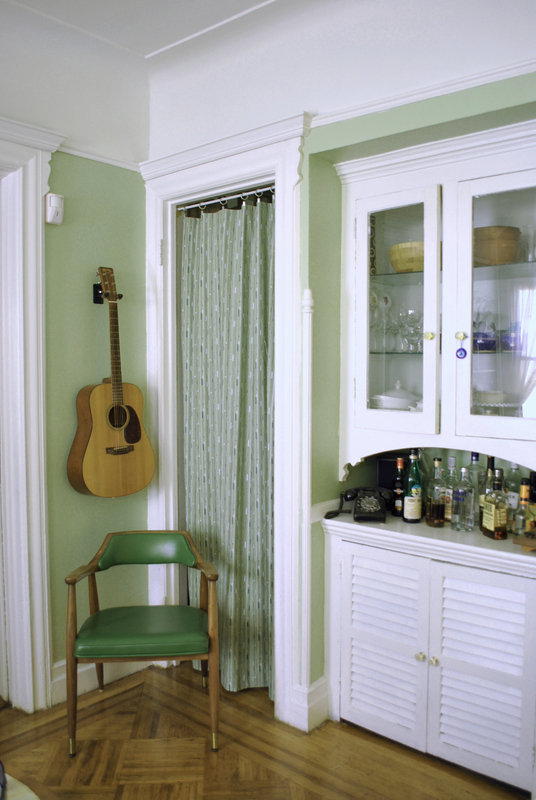 Then I sewed a green curtain to hide the litter box and our bikes. And then I bought some green lamps and rewired them. The dining room has officially become the green room. I left you in Cannon Beach. After long walk on the beach and a short dip in the frigid water (just our toes), we headed inland. We spent the night with friends in Canby, and the next day we explored Portland. 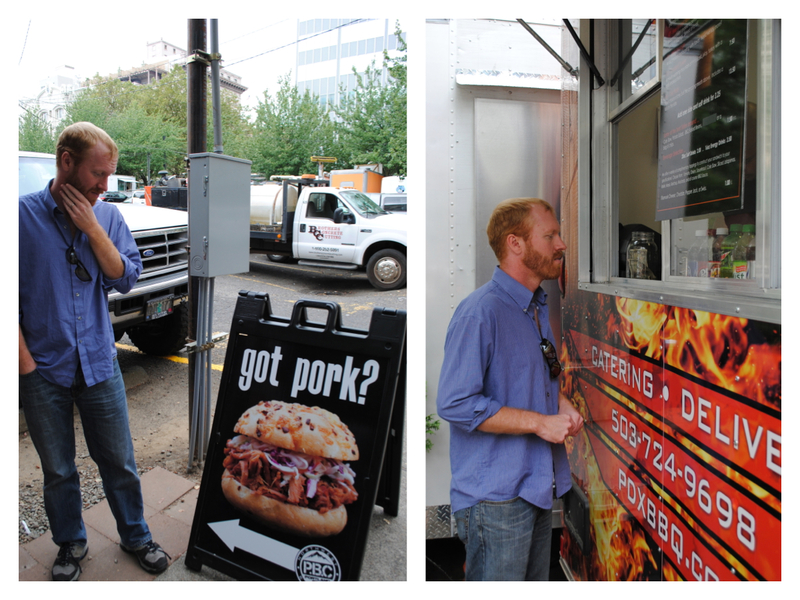 The first stop was, of course, Portland’s famous food trucks. To no one’s amazement, Soren headed for the pork. I went with Vietnamese. After lunch, we wandered, bought a pair of dangly earrings (me, not Soren), ate frozen yogurt, and eventually we ended up at Portland’s Rose Garden, which — I’ve got to be honest — blew the Brooklyn Botanic Garden away. 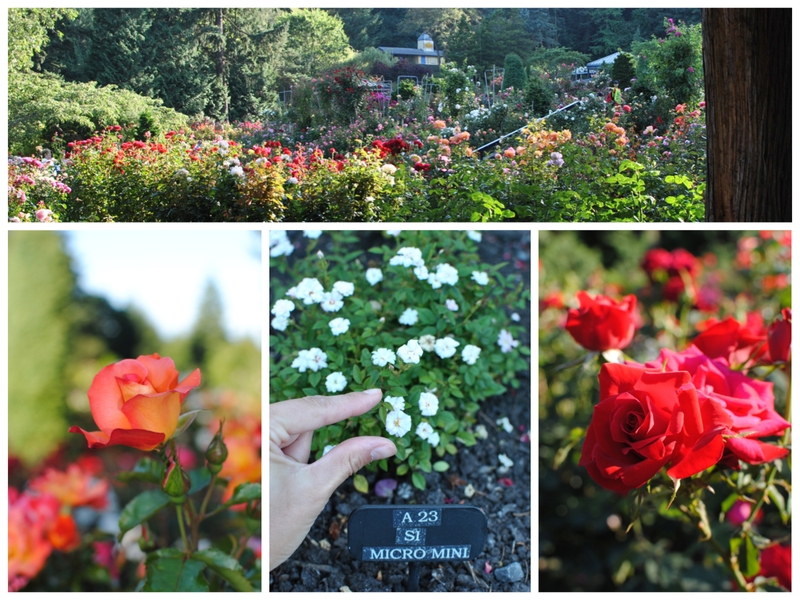 The grounds were positively bursting with roses, just as a rose garden should be.